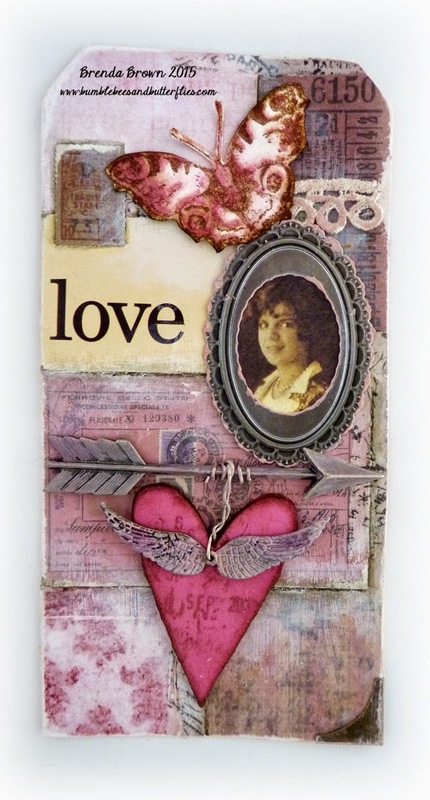 I actually made this tag on Valentine's Day following Tim's process steps but making a few changes as I went along. The background had been started earlier in the week, but the rest of the tag just came together so well. 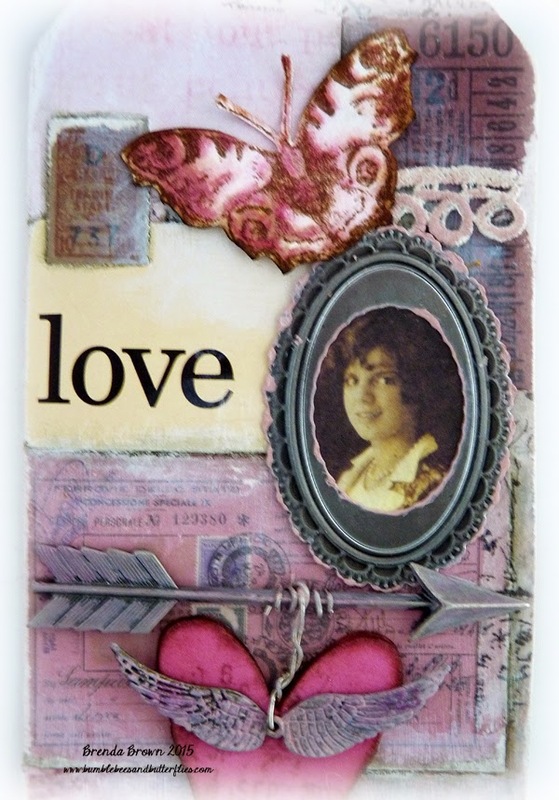 .... and this is the one I chose to use - pinks for Valentine's Day. All the embellishing was based around Tim's design, I added lots of Victorian Velvet distress paint to all of them to bring the colours in together. 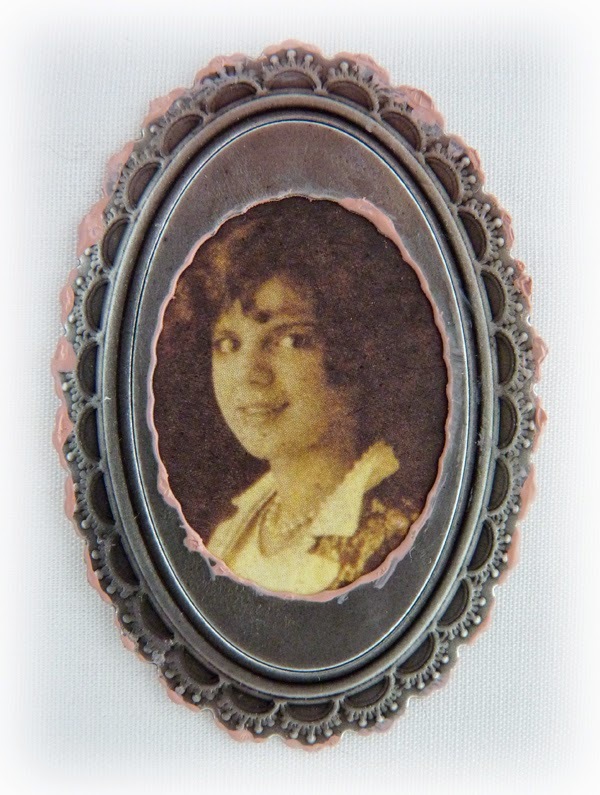 You can just see some touches to the inside and outside edges of the frame. The lady is from the Lost and Found paper stack. I really enjoyed playing with the arrow and heart. 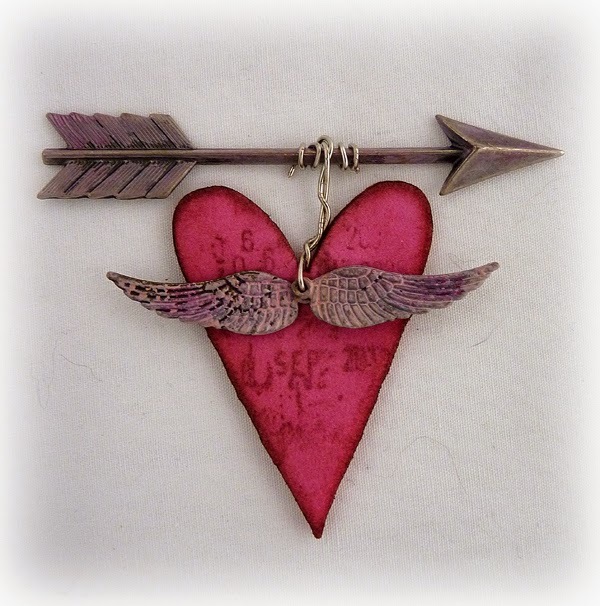 Tim used a felt heart on his tag but this one was die-cut from foam, stamped with potting soil archival ink and a little gathered twigs distress stain smeared over it to take away the bright vivid pink that it started out as. The wings are little charms from my supplies also altered with VV distress paint and then a little picked raspberry stain baked into it with the heat gun. 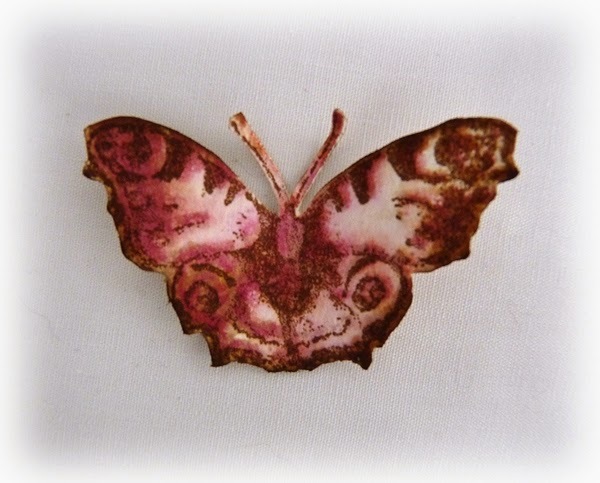 I have just received Tim's new set of Watercolor stamps with some gorgeous butterflies on it, so I played with distress stains on watercolour paper to create this little beauty. ... and created my own design. Thanks Tim for another wonderful tag and background idea. I shall certainly be making more of these, they are great fun to experiment with. 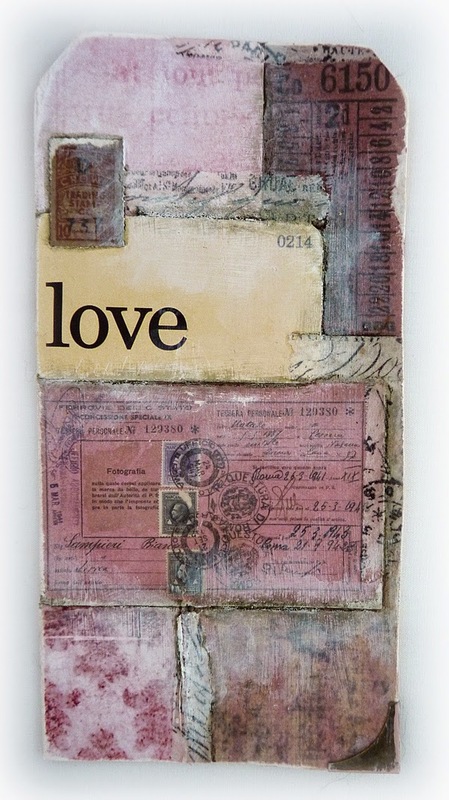 I am off to link this one on Tim's February tag blog post and to take a look at the other entries where there is always more inspiration in abundance. Totally agree with Anne .....your backgrounds are indeed stunning. Stunning work as always Brenda and I'm loving the pink. 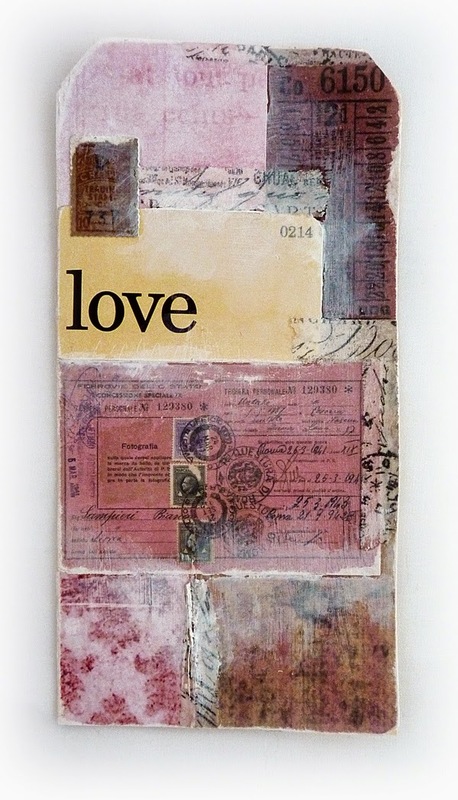 Love the colour, the image tucked into the frame, the way you incorporated the heart onto the tag and all the little touches. Lovely feminine take on the February tag - the butterfly is so beautiful (just received those stamps but haven't had a chance to play yet! 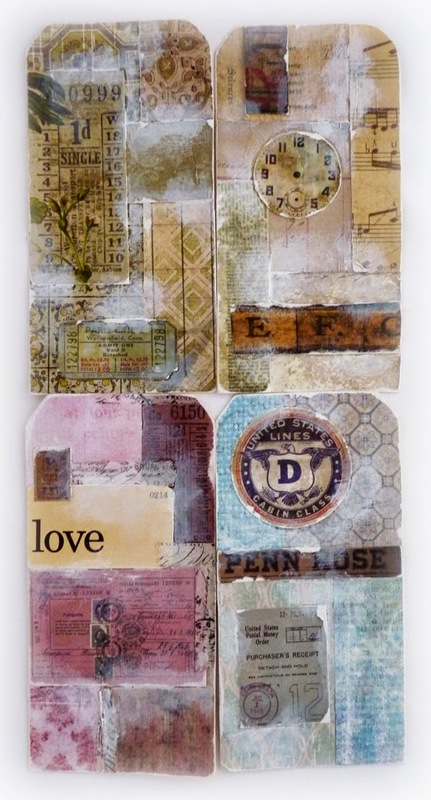 ), and I love the other backgrounds too - can't wait to see what they become! 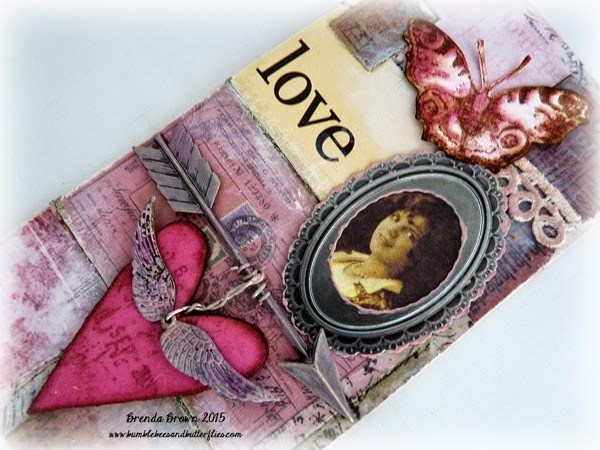 Beautiful Brenda, all of your backgrounds turned out wonderfully and love your February tag! Love those wings on the heart and the warm butterfly ! Background is perfect! Thanks for lovely comment! So excited to win, was my first entry :) I love your tag - the VV on the frame and the metal embellishments looks beautiful. I loved how you dropped the foam heart from the arrow too.